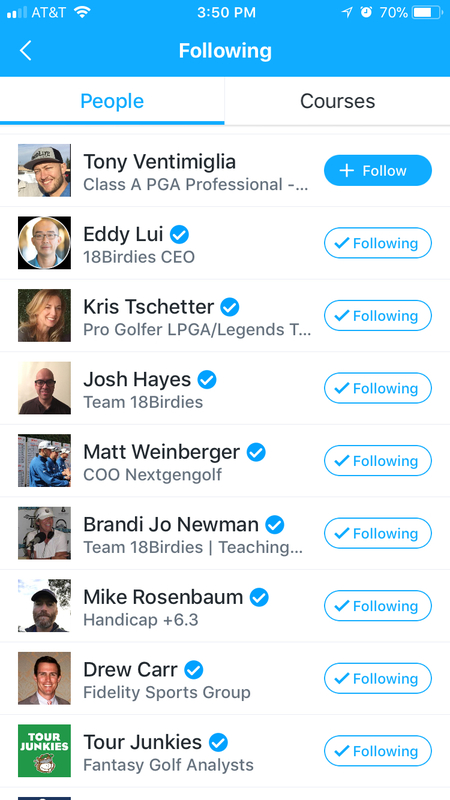 Every newly registered 18Birdies account automatically follows all 18Birdies Verified Players and will see new posts from the 18Birdies Verified Players on their Feed. Any user with a blue check mark next to their name is an 18Birdies Verified Player. Tap the white or blue circle next to the players name to toggle between 'Following' (you are already following this player) and 'Follow' (you have not yet followed this player).